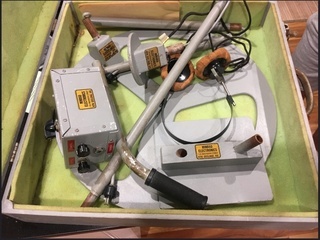 Can anyone tell me about these old detectors? I know one is an old Garrett, the details I am not sure of, but I don't know anything about the Minrad or what it was used for. 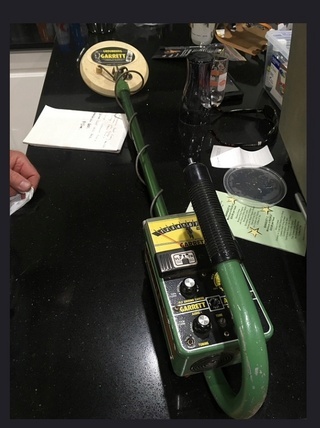 GrizzlyGrunt wrote: Can anyone tell me about these old detectors? Maybe this mob can help you?? Sorry. I deleted the link coz it was useless. Thanks for the info on the Garrett mate, I can't seem to find to much info about Minrad, looks pretty cool though. Gday Just been to Sovereign Hill gold museum. 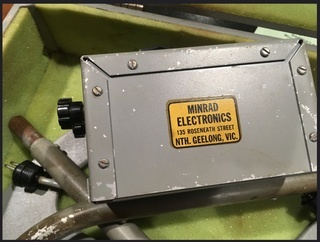 They have same Minrad detector there. Thanks Big Fella, must be a gold machine then.